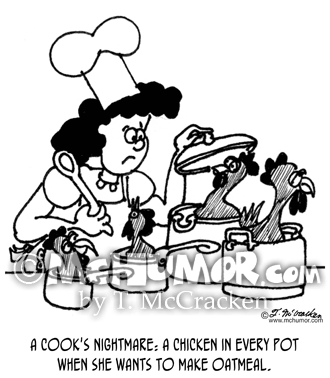 Cooking Cartoon 3344: A cook's nightmare: A chicken in every pot when she wants to make oatmeal. 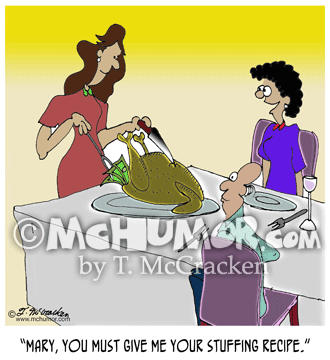 Turkey Cartoon 7988: As a woman carves a turkey and pulls money out from its innards another says, “Mary, you must give me your stuffing recipe." 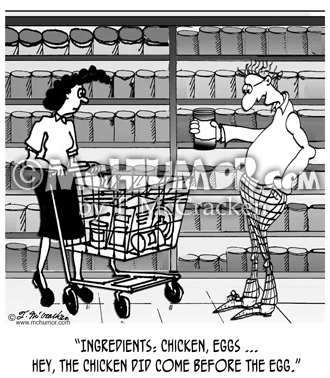 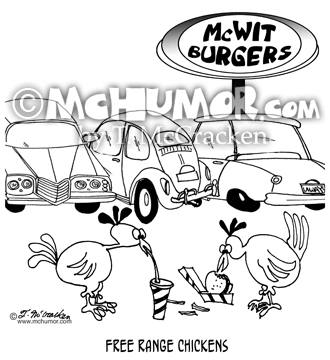 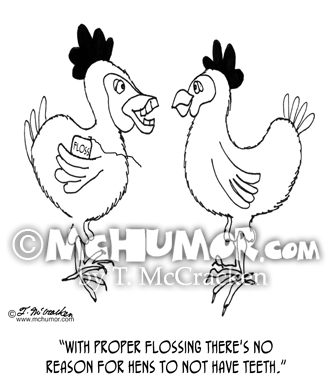 Food Processing Cartoon 3486: Someone reading a can label says, "Ingredients: chicken, eggs ... Hey, the chicken DID come before the egg." 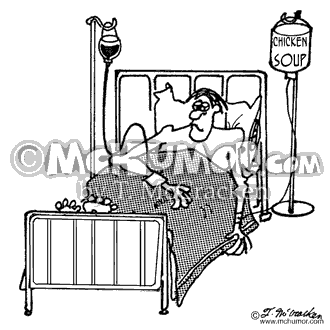 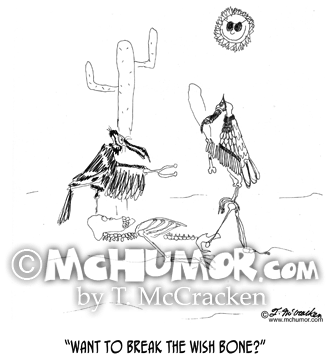 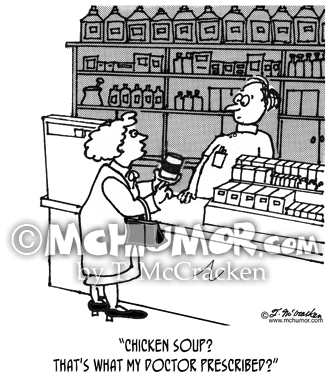 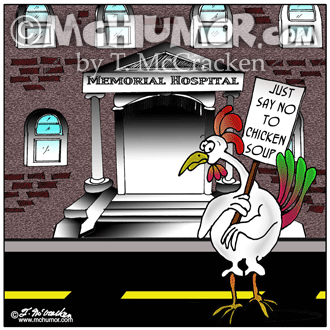 Soup Cartoon 3400: Chicken soup is in an intravenous drip. 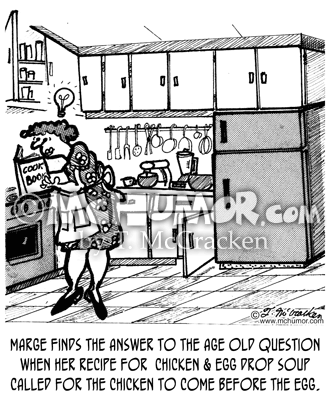 Cooking Cartoon 1817: "Marge finds the answer to the age old question when her recipe for Chicken & Egg drop Soup called for the chicken to come before the egg."